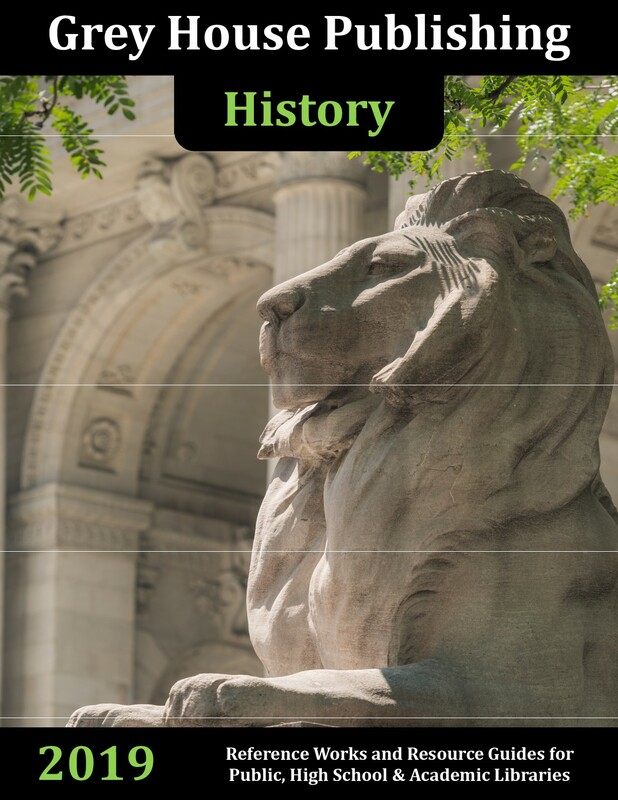 Take a look inside for a wide range of informed, accessible content designed for High School, College, and Public Libraries. Our Digital Catalogs give you an easy and interactive way to view all of our new titles. Salem Press is pleased to present this year's new titles and award-winning multi-volume sets, all with complimentary online access. Featuring more than 60 new titles, Salem Press offers a wide range of informed, accessible, rich and original content sure to benefit any library or school. New releases include a brand new series, Principles of Sociology; 10 new titles to the popular Critical Insights series; 4 new editions to the popular Critical Survey series; 6 new titles have been added to the popular Defining Documents series; 4 more titles have been added to the Careers In series; two new titles have been added to the Principles of Business series; 4 new titles have been added to the Principles of Science series; 3 new titles have been added to the popular Salem Health collection; a new edition of Ethics has been added; plus much, much, more! 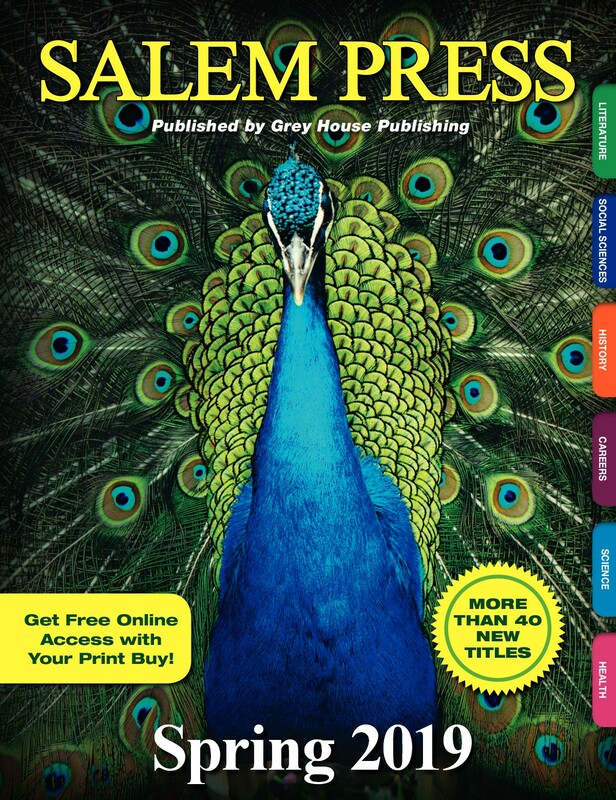 To explore all these titles and other new releases, check out the Salem Press Spring 2019 digital catalog! H.W. Wilson is proud to announce brand new content for 2019. Featuring free online access for all Reference Shelf subscribers, buyers of The American Book of Days and Famous First Facts; new editions of H.W. Wilson's famous subscription products, including Current Biography, Reference Shelf, and Readers' Guide to Periodical Literature; plus new updated editions of H.W. Wilson's most popular titles, Children's Core Collection, Public Library Core Collection: Nonfiction, Fiction Core Collection, and a brand new title, American Game Changers. For more information on these and all of H.W. Wilson's titles, take a look at H.W. 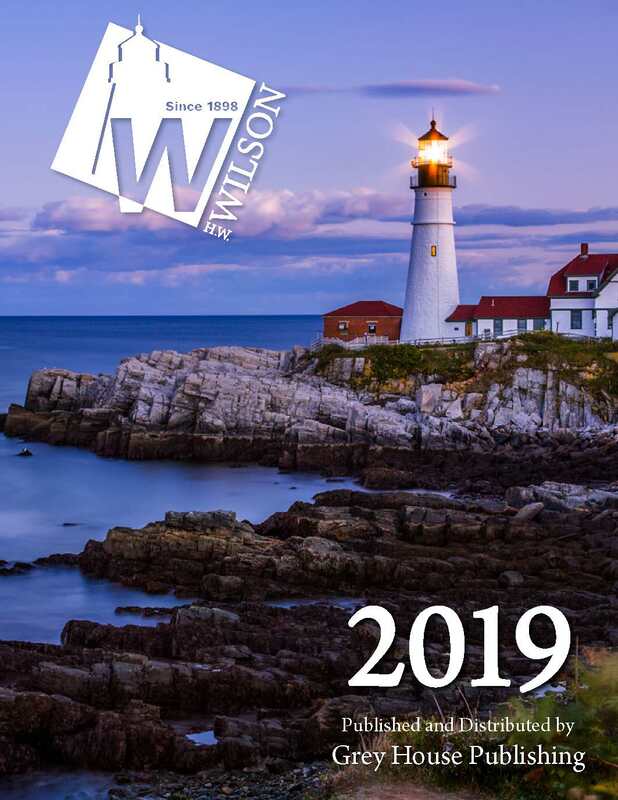 Wilson's brand new 2019 digital catalog. Grey House Publishing Canada is pleased to present several new releases for 2019. 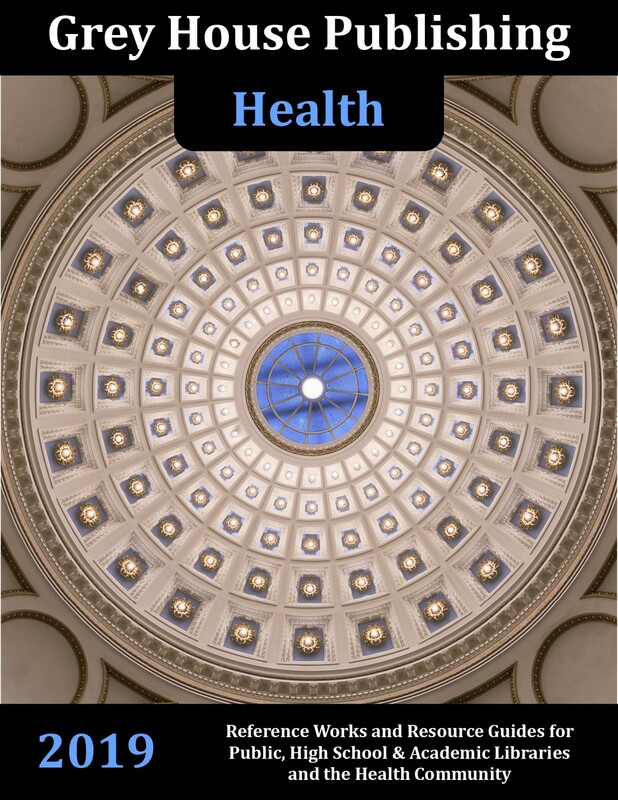 New editions include Health Guide Canada; Canadian Almanac & Directory; Associations Canada; Libraries Canada; Financial Services Canada; Canadian Environmental Resource Guide; Canadian Parliamentary Guide; and The Directory of Canadian Venture Capital & Private Equity Firms. 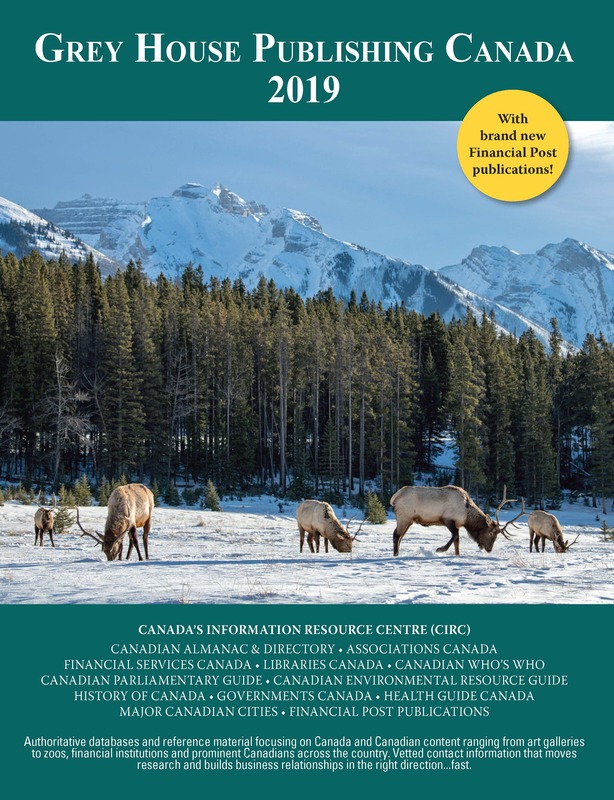 Grey House Publishing Canada is now producing and distributing select Financial Post publications including The Directory of Directors; FP Bonds and FP Survey; and other Financial Post publications. Access all these great resources online, all the time, at Canada's Information Resource Centre (CIRC). 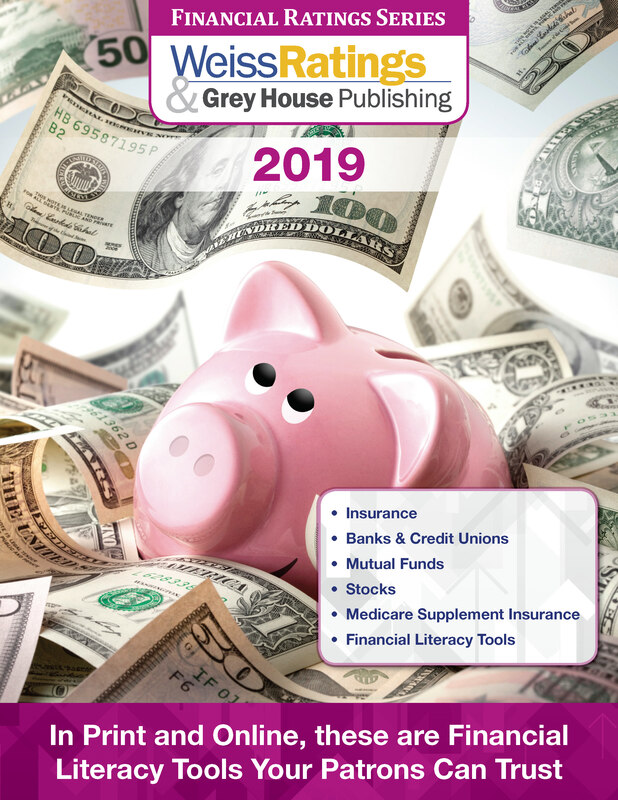 To learn about all of Grey House Publishing Canada's titles, take a look at the 2019 Digital Catalog! Financial Rating Series is pleased to present this year's complete collection of Financial Strength Ratings, Investment Ratings and Financial Planning Tools. In Print and online, these tools are highly regarded in the library community for their unbiased, accurate and conservative ratings-ratings that your patrons can rely on for sound financial planning advice. Financial Ratings Series is happy to announce A BRAND NEW series, Financial Literacy Basics, this new series will provide readers with easy-to-understand guidance on how to manage their finances. New editions also include: Medigap Buyers Guide & Premium Calculator, an easy-to-use guide, patrons can create a Medigap Buyers Guide-individually customized just for them. The Buyers Guide is filled with important need-to-know information, a list of recommended insurers, and the rates they would pay based on their age, gender, and zip code; Financial Strength Ratings & Investment Ratings Online, with a subscription to Financial Ratings Online, your patrons will have unlimited access to the unbiased, accurate ratings that Weiss Ratings and Grey House Publishing has to offer-and it's all just a few clicks away! ; Ratings Guides in Print, for those users who are more comfortable with print reference, these easy-to-use guides are user-friendly and provide the sound financial planning advice that Weiss Ratings and Grey House Publishing are known for; plus much more! 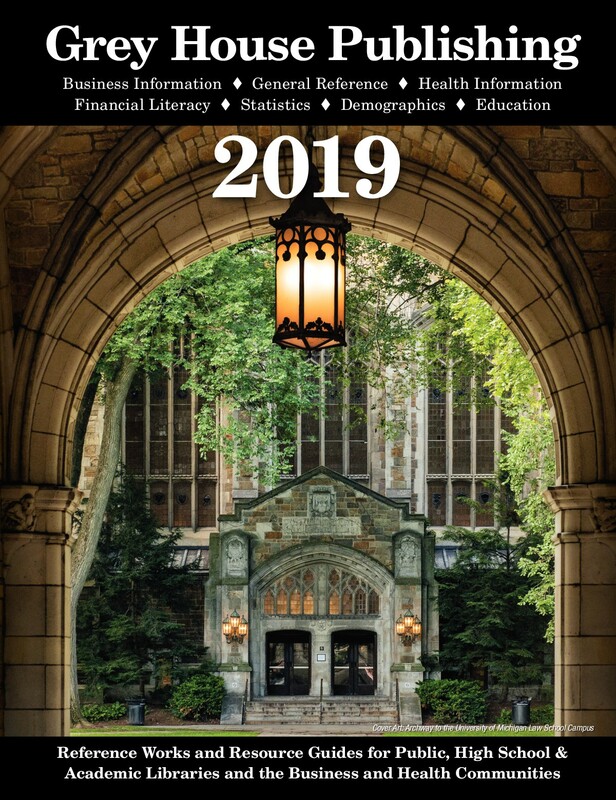 To learn more about Financial Ratings Series, take a look at the 2019 Digital Catalog!